Julie Woodward Suicide Memorial - Suicide.org! Julie Woodward Suicide Memorial - Suicide.org! Julie Woodward Suicide Memorial - Suicide.org! Julie Woodward was a beautiful, intelligent, popular, studious, disciplined, ambitious, and caring girl. She attended North Penn High School in North Wales, Pennsylvania. And Julie Woodward had been a happy girl until her junior year in high school, when she began exhibiting some difficulties. She experienced a break up with a boyfriend, began staying out late with her friends, and did not study as much as she used to. She also became depressed, was irritable most of the time, and her grades dropped significantly. And a diagnostic test that she took at school confirmed what many believed, that Julie was indeed suffering from depression; so she entered a group therapy program at a local clinic. Two doctors at the clinic convinced her parents, Tom and Kathy, to put her on Zoloft, which is in a class of antidepressants known as selective serotonin reuptake inhibitors, or SSRIs. Julie's behavior actually got worse after only a few days on the medication. And on the third day, Julie was arguing with her mother when she lost control and pushed her to the floor -- Everyone in the family was shocked because Julie had never pushed her mother before. "It was an out-of-character act," Tom Woodward said. And over the next few days, Julie became extremely irritable and she could not sit still. Julie was usually very calm, but she kept pacing incessantly. She also became reclusive. Six days after starting her treatment with Zoloft, Julie called her father, who was on his way home from a business meeting, and told him she did not want to attend the swim meet that her mother and some other family members were already attending. She told her father not to come home, but to go directly to the swim meet. She then told her father that she loved him. When Tom and Kathy returned home later that evening, they thought that Julie was in her bedroom, so they did not go up to her room until they were ready for bed, at about 11 p.m. And when they did go to her room to say goodnight, Julie was not there. They thought that she decided to stay out late, so they went to bed. 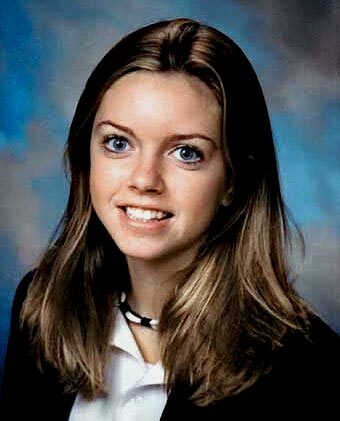 The next morning, when she still did not return home, they began calling friends and family, but could not locate her. Tom began searching the neighborhood, but was unable to locate her. Tom then went to their detached garage -- and it was there that he found her. "I went to her and grabbed her and said, 'No, God, No'..."[But] it was too late -- she was gone," said Tom. She died on July 22, 2003. The day after Julie passed away, their neighbor, North Wales Mayor Douglas Ross, shared some information with Tom and Kathy that outraged them. Douglas said that he did some research and found that SSRIs had been linked to suicidal impulses in some children. "It may not have been Julie," Douglas said, "it may have been the medicine." "We were never even warned to watch for 'a bad reaction,' '' Tom said. "We were dealing with mental health professionals and we believed what we were told. If we had been told that there was even a slight risk, a mention of the word 'suicide,' Julie would be with us today." Tom began doing his own research. "The more I read and the more I learned, the more angry I became," said Tom. So Tom and Kathy began contacting other parents who had experienced similar tragedies. And soon Tom and Kathy became activists and worked diligently to educate others about the risks of SSRIs with children. Tom and Kathy have spoken at hearings about the safety of SSRIs, including FDA hearings. "Every time that I've had the opportunity to speak out on the subject, it's our way of telling Julie that we love her," said Tom. "I think that's given us strength and direction and focus, and if we can go out there and help one family or one child -- then that's something good. Tom and Kathy continue to work tirelessly in their efforts to warn others about the risks of SSRIs when taken by children. Julie Woodward is missed by many. And Julie is now an angel. Tom and Kathy -- Thank you for you dedication and your diligent work in helping educate others about this very important issue. I know that Julie is very proud of you. You are showing your love for Julie every time you speak out. And you are helping save lives.